It's that time of year once again. 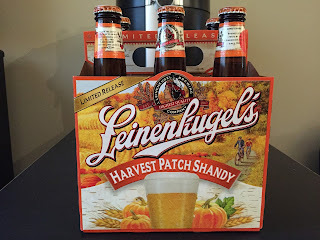 October means that it's pumpkin season, and as we did last year here at bumwinebob.com I feel that we have to feature at least one festive fall beverage before the winter months hit. By now you all know that there is a wide range of fall and pumpkin beers on the market, and while there are some that are enjoyable, there are others that taste like hot pumpkin garbage. This week we are taking the time to feature one of the more enjoyable fall beers, the Leinenkugel's Harvest Patch Shandy! 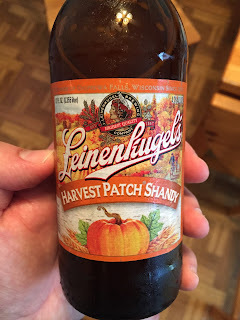 Leinenkugel's Harvest Patch Shandy is the Summer Shandy of autumn. (Well yeah...no duh.) This was the first time I had seen it on shelves, so I decided to pick up a six pack and give it a try. It doesn't have an overwhelming pumpkin flavor, which is good, and the aftertaste is more of a cinnamon and nutmeg spice which is refreshing. I've said in the past that I can usually only drink a few of the shandy's type beers in one sitting before moving on to something else, not because of the taste but because of the type of beer. Now don't get me wrong, the Harvest Patch Shandy is still a great choice to drink on a cool fall day. The Harvest Patch Shandy comes in at 4.2% ABV. and is available from September to October. 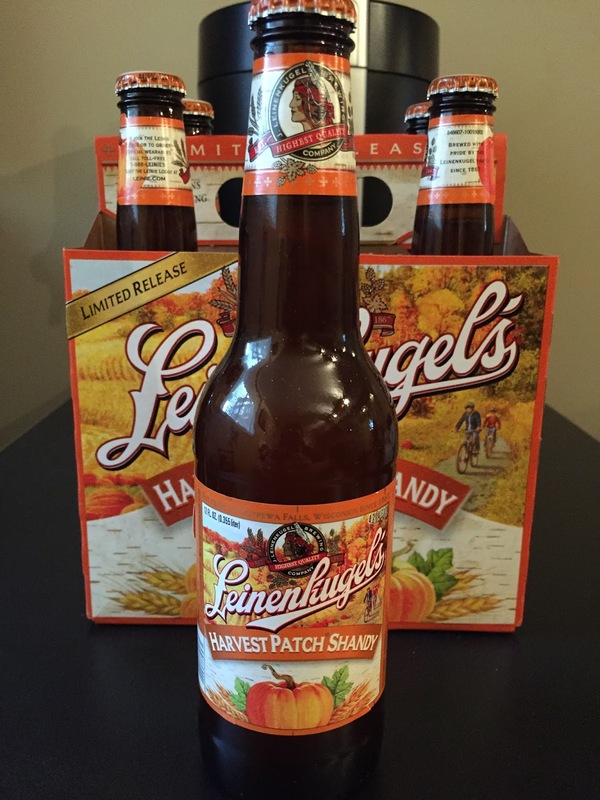 Be sure to stock up now and enjoy a bottle of Leinenkugel's Harvest Patch Shandy, the BWB Beer Of The Week! The bumcast will be back LIVE next Sunday 10/16 at 11pm ET when welcome our good friend Kevin M. Thomas back to the show. A lot has changed since we had Kevin on the show last year, and we are happy to have him back on the show once again! We will be chatting about his music, drinking, and a variety of different topics as well. Check out his site at hearkevin.com and make sure to download his new album on iTunes! Stay tuned to bumwinebob.com next week for more info! In the meantime be sure to check out what you might have missed on some older episodes of Bumming with Bobcat in the archives! Cheers!